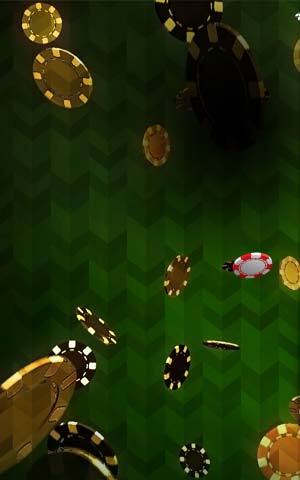 Baccarat is called Punto Banco in many casinos in South America and Europe. 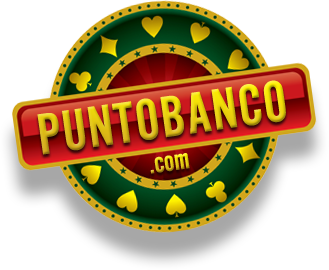 "Punto" means "Player", while "Banco" means "Bank", in reference to the two principal bets of the game. The object of the game is to bet on the hand (either "Punto" or "Banco") that you think will have a total of, or closest to, 9. Or to bet that both "Punto" and "Banco" hands will have the same total (a "tie" or "stand off"). Punto Banco is played at an oval table, similar to the French's "Chemin de Fer" version. The actual number of players per table may vary from casino to casino. The Punto Banco table is staffed by a croupier, who directs the play of the game, and two dealers who collect and pay bets as well as tallying commissions due. Six or eight decks of cards are normally used, shuffled only by the croupier and dealers. Like "Chemin de Fer", the shoe is passed around from player to player, who acts as the dealer of the cards and as "banker," but he or she does not actually bank the game. The "banker" may bet on the player hand if he or she wishes, or may pass the shoe along to another player - the role of the "banker" is merely ceremonial. The player who has the highest bet on the "Punto" hand is given the "Punto" cards, though he or she simply turns the cards over, announcing their total. The croupier instructs the "banker" when to deal third cards, and then announces the winning hand. 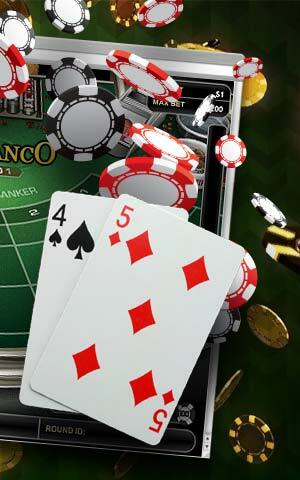 Punto Banco is usually played in special rooms separated from the main gaming floor, ostensibly to provide an extra measure of privacy and security because of the high stakes often involved. Punto Banco games are frequented by high rollers, who may wager tens or hundreds of thousands of dollars on a single hand. Australian tycoon Kerry Packer is particularly fond of the game, having won and lost large sums over the years. Minimum bets are relatively high, often starting at $25 and going as high as $500. Posted maximum bets are often arranged to suit a player, but maximums of $10,000 per hand are common. 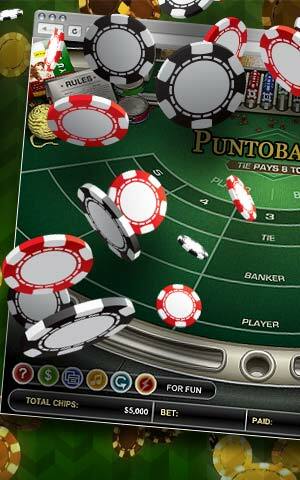 Despite its simplicity (or perhaps because of it), Punto Banco offers the lowest house advantage among casino games. The "Punto" bet has a house advantage of 1.24%, and the "Banco" bet (despite the 5% commission) has an advantage of 1.06%. The "Stand Off" bet has a much higher house advantage of 14.44%, based on six decks in play. Because of its attraction for wealthy players, a casino may win or lose millions of dollars a night on the game. © 2006-2017 PuntoBanco.com may link to third party websites and software. We do NOT endorse, and are NOT responsible or liable for any third party content, products, or services available from such websites. Online gambling may NOT be legal in your jurisdiction. Do NOT gamble online unless you have verified that it is legal for you to do so.